On Saturday, March 9,2019 the Little Light House- Central Mississippi will host their 13th Annual Garden Party Fundraising Benefit at The Hilton in Jackson, MS from 2:00-4:00p.m. Doors will open at noon to view raffle baskets and silent auction items. At the Garden Party we will enjoy southern hors d'oeuvres and coffee and tea. Our special guest will be David Saville, Equipment Manager for The National College Football Champions, Clemson University Tigers. 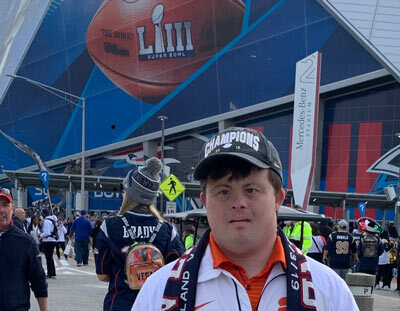 David is an adult with Down Syndrome who will inspire all of us to continue to be pursue our dreams regardless of circumstances. He often quotes his coach and mentor Dabo Swinney: "the only disability is a bad attitude". For more information, please check out llhms.org. This is NOT a ladies' only event. There will be several categories for ladies' hats and men's tie competition. Raffle baskets may be viewed online at www.llhms.org at the end of the first week in February. Tickets for the baskets are $2 each with no limit on the quantity purchased. To purchase raffle tickets, you may call the office at 601-956-6131 or contact any LLH parent or staff member. Garden Party tickets are $40.00 each or $350 for a table of 10, There will only be 350 tickets available. We ask that you please get your tickets early.